Apple crisp is one of the desserts my sister used to make often at my parents’ house, way back when we all lived on the same continent. Apple desserts were my brother’s favourite. I loved it for the crispy oat and brown sugar topping, the vanilla ice cream melting in little pools around it. 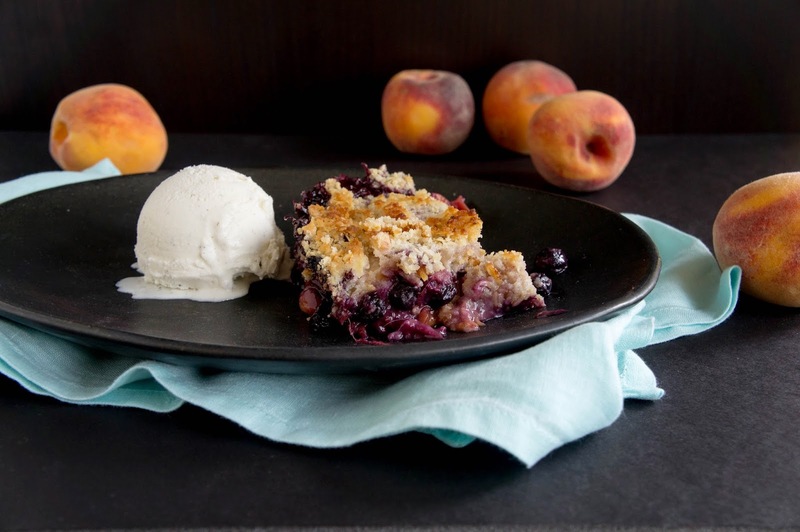 I first made this peach and blueberry version last summer for Alex. 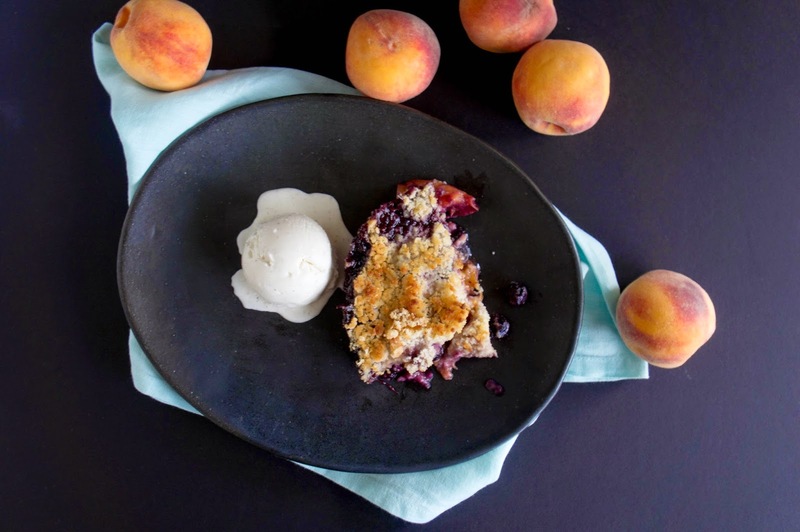 For Alex, blueberries were the obvious choice when asked what to combine with the peaches. I loved how it came together so quickly, with one bowl and my hands. No greasing of the pan, no mixers, just love. I made it a second time when visiting one of my best friends in Kingston. She made me amazing Indian food for dinner and I made this crisp for dessert. We had it with heavenly hash ice cream because that’s what she had and we were too lazy to go to the store. It was still delicious. I made it again this summer at my parents’ house when my siblings were visiting from New Zealand. This time the crowd was bigger with my two nephews and one niece. Later this summer, we bought a cast iron dutch oven for camping and the first thing that went into it was this crisp. In hindsight that was probably a poor idea since we were inexperienced and the fruit at the bottom turned into blackened sugar that took forever to scrape off. But we topped it with whipped cream and shared it with friends around the campfire. We weren’t sorry. I feel like each time I make this crisp I create a new memory. I know I’ll make it again. Preheat oven to 350F. 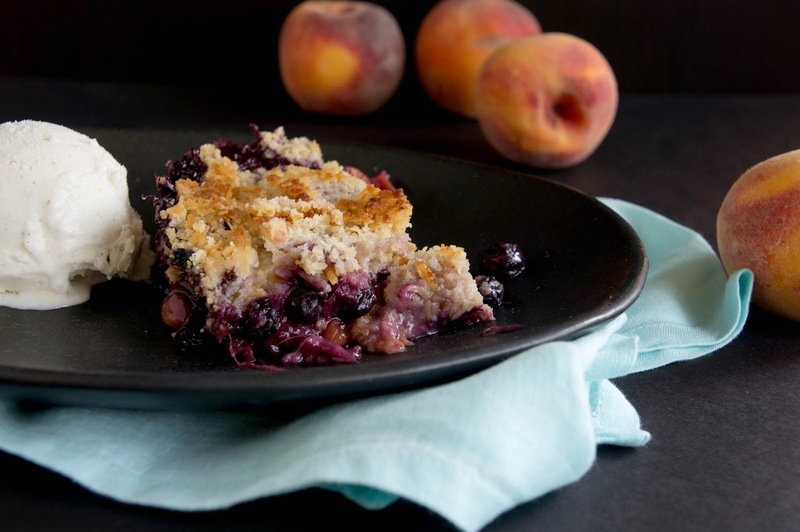 Mix sliced peaches and blueberries in an 8 inch square casserole or other baking dish. In a large bowl, mix together all dry ingredients. I like to use my fingers for this whole recipe, no spoon required. Add butter chunks and toss together. Then rub the butter into the dry ingredients with your fingers until the whole mixture has turned into coarse crumbs. Make sure there are no large butter chunks left. 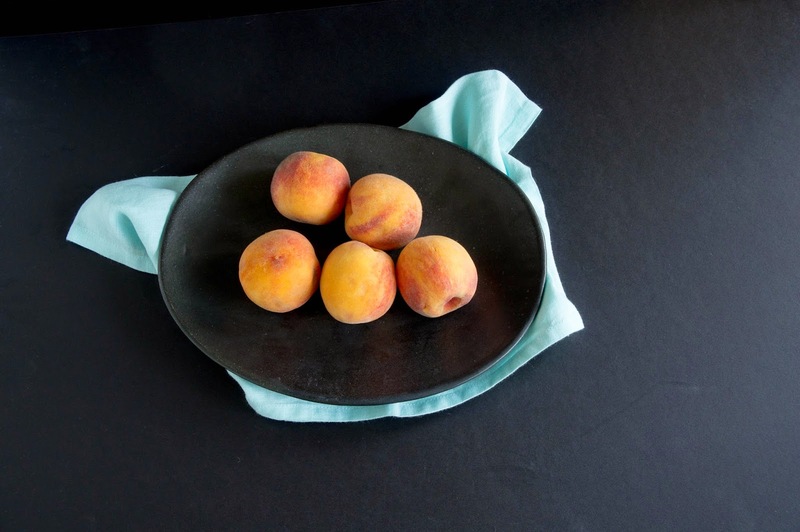 Grab a handful of this dry, crumbly mixture and toss with the fruit. This with help thicken the fruit juices as they cook. Pour the rest of the flour and oat mixture on top of the fruit and pat it down. Bake in the center of the preheated oven for 30-40 minutes or until top is golden brown and fruit is bubbling. Remove from oven and let cool slightly. Serve warm with vanilla ice cream. Store covered in the refrigerator. Reheat in microwave for 20-30 seconds before serving again.